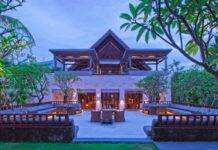 Sofitel Luxury Hotels has been steadily expanding its network across Asia in recent years with openings throughout the Southeast. 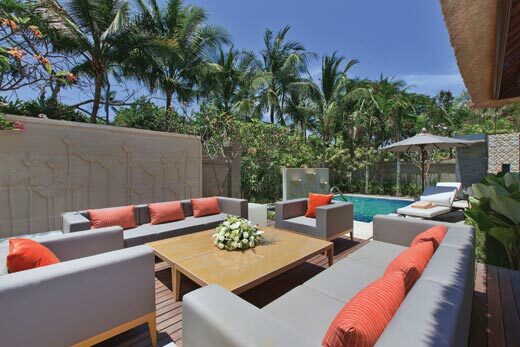 It finally opened its first Indonesian property in Nusa Dua, Bali on Dec. 20. Offering up the kind of luxurious facilities and quality service offerings that travellers have come to expect from the brand, the new property artfully combines the company’s expertise in French elegance and flair with Bali’s famed hospitality and culture. Sofitel Bali Nusa Dua Beach Resort has been brought to life by the internationally acclaimed design firms of WATG Arhitects and Wilson Associates Interior Designers, with WATG Singapore integrating the core values of Sofitel in the stunning new property. The hotel comprises 415 rooms and suites including 17 Private Villas, 22 Prestige Suites and 376 Luxury Rooms featuring Sofitel’s signature MyBed, ultra-cozy sleeping spaces with feather-and-down duvets and mattress covers. Plush amenities and high tech fittings, including complimentary broadband internet access, complete the experience. 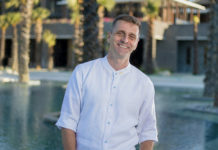 As a French-owned hotelier, Sofitel’s resorts are always renowned for their high-quality F&B options, and the the new Bali property is no exception. Conceptualized by Blue Plates in Singapore, the resort’s eclectic set of dining options are comprised of three restaurants, two bars and a club lounge. Inspired by a “food market” dining concept, Kwee Zeen serves a Pan Asian menu in a relaxed dining atmosphere with each atelier highlighting a different cuisine, from dumplings to grilled items. CCC (Cut Catch Cucina) features multiple offerings including steakhouse, Italian osteria and sea grill favourites, while Artisan restaurant highlights classic Indonesian favourites such as grilled satay. For drinking destinations, there are both lobby and pool-side bars as well as the glamorous CLUB N5 Beach Club lounge. In terms of amenities, the hotel offers a wealth of wellness and fitness options for guests who want to rejuvenate in style. You can relax by the resort’s gorgeous beachfront pool, get active at So FIT, the state-of-the-art fitness centre, or revitalize at So SPA, Sofitel’s spa concept in which traditional treatments from around the world are combined with refinement and skill of the latest in French cosmetology. Sofitel Bali Nusa Dua Beach Resort is also aiming to capture a slice of Bali’s burgeoning business meeting market with the brand’s InspiredMeetings concept, which utilizes the latest conference technology. The resort offers an array of innovative meeting and event facilities including a Grand Ballroom, a Retreat Grand Room, four meeting rooms and one boardroom, each featuring state-of-the-art technology and dedicated concierges. The hotel offers some of the largest meeting and function facilities in Bali, with the Grand Ballroom able to accommodate up to 600 guests theatre style.